Why put your heart on hold? Open it with Love & Harmony! 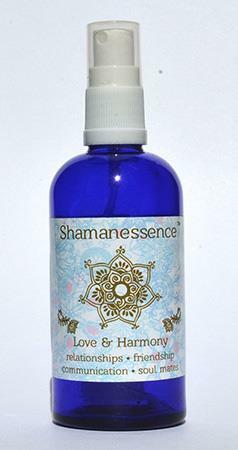 This very special powerful formula of vibrational elixirs and essential oils help us ascend to the Heart and connect to our true nature inner being, Spirit, which has great affection for us and all of creation. Awaken and journey a path of unconditional love & harmony. Open and heal your heart! Great skin tonic, loved by all, especially pregnant women! This is the best 'love potion' I have tried. I have been using this formula for comforting, healing, loving myself and forgiving others. It feels and smells amazing when I spray it around myself every morning to start my day! Spray above your head (auric field) and especially around the front and back of the heart center. This is a great formula for your skin if you wish to use it as part of your daily beauty routine. Children and pregnant women love this formula!